Today Ricky Wilde celebrates his 50th birthday. 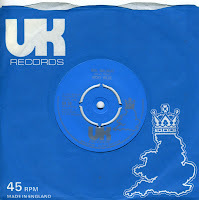 A good occasion to present one of the singles from his teen years, when he recorded tracks with his father Marty Wilde, under the guidance of record boss Jonathan King. 'Do it again, a little bit slower' was originally recorded in 1967 by Jon & Robin. Several other versions of the song exist, but Ricky recorded his version in 1973. This sleeve comes from the Swedish version of the single; Sweden being the only country where Ricky's singles actually charted despite releases all over Europe. 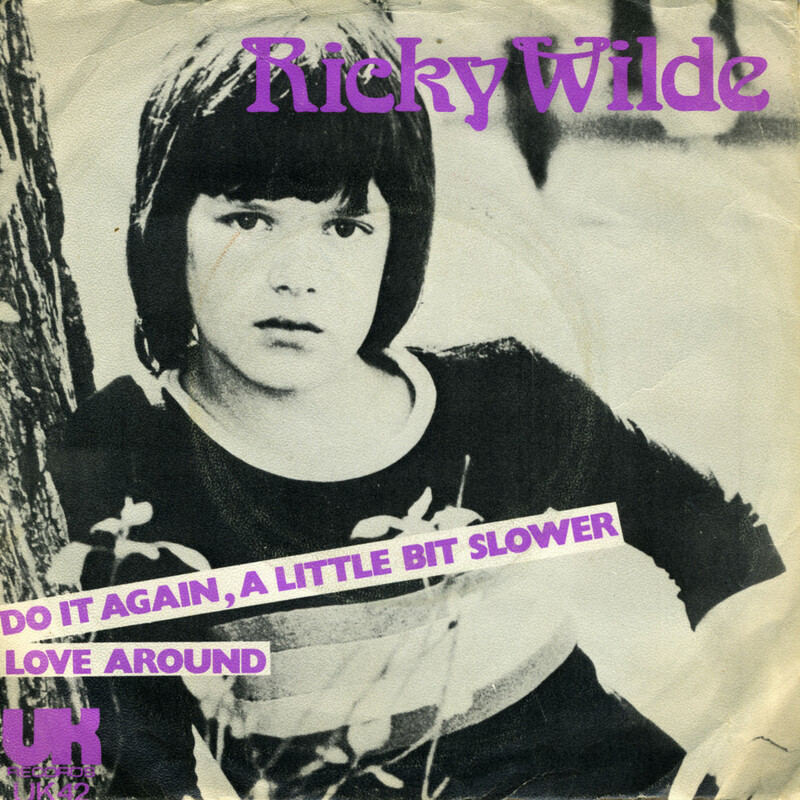 I spotted this copy two weeks ago just in time for this birthday; and I was happy since this is the last Ricky Wilde single I didn't have! Released in 1972, Ricky Wilde (yep, Kim's brother) was just eleven years old when he sang 'I am an astronaut'. 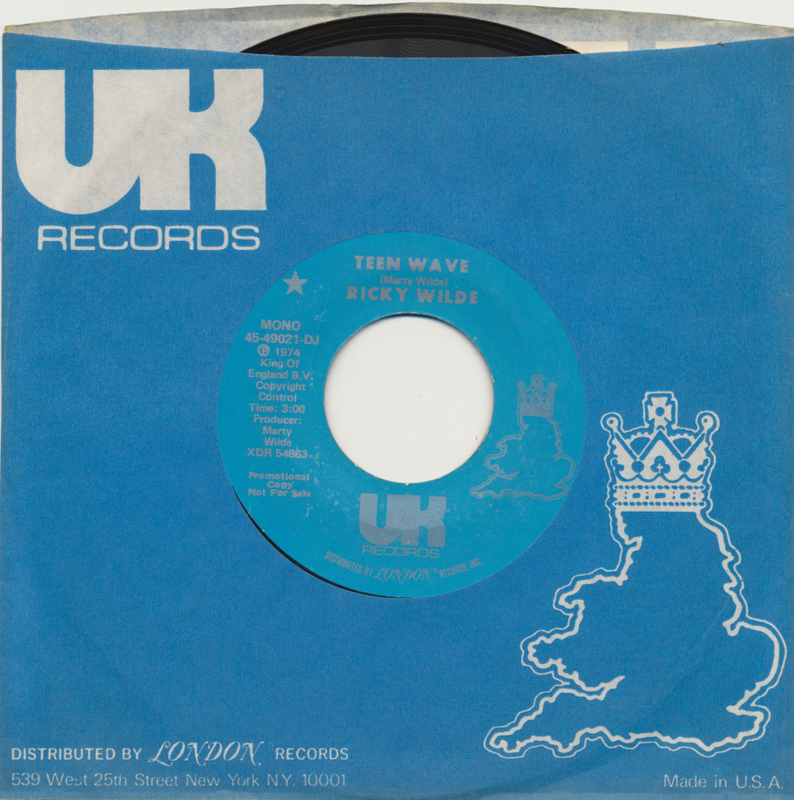 The single was not a hit all over Europe, but the single was released in several countries. 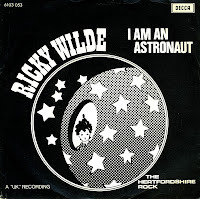 Attentive readers of this blog will have seen the previous entry about 'I am an astronaut' from two years ago, but this single is a recent acquisition: a Belgian pressing featuring a beautiful photo sleeve of a young Ricky. And so it merits a repost. 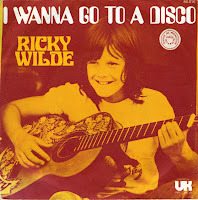 Ricky Wilde's short-lived music career consisted of six singles released on the UK label. 'Mrs. Malinski' was the fourth of this series, released in 1974. The song was written and produced by his father Marty Wilde. The B-side is called 'Cassette blues' and sounds rather like it was recorded on a cassette as well. 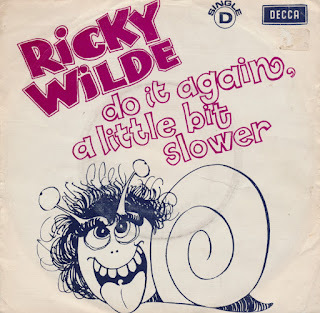 This single was the least successful of all Ricky Wilde singles, having not reached the charts in any country. 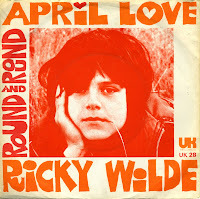 After Ricky Wilde debuted in 1972 with 'I am an astronaut', his second single 'April love' was released in early 1973. The song was originally written by Sammy Fain and Paul Francis Webster and recorded in 1957 by Pat Boone. 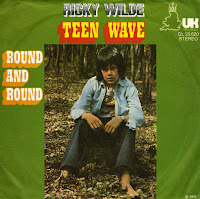 Young Ricky didn't reach the UK singles chart with this effort, and I have no further chart statistics for this single. (He reportedly did well in Scandinavia with some singles, but it's never been described which singles exactly). I found this copy of the single, with a picture sleeve and made in the UK, on eBay, sold by a Danish person. The disc is in pretty fine condition, considering its age of 36 years. And yes, all of Ricky's singles have become a bit of a collector's item: they are rarely offered for sale and especially copies with a picture sleeve are very hard to find. 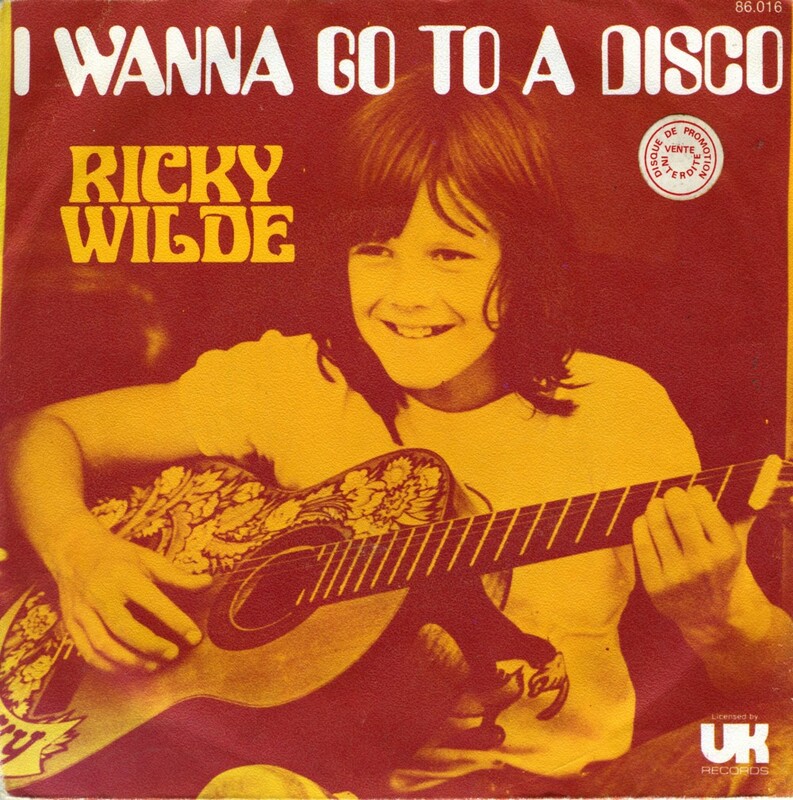 Before Kim Wilde hit it big in 1981 with 'Kids in America', starting a very successful career that still goes on to this day, father Marty Wilde tried to launch his son Ricky in the early Seventies as a child-star. 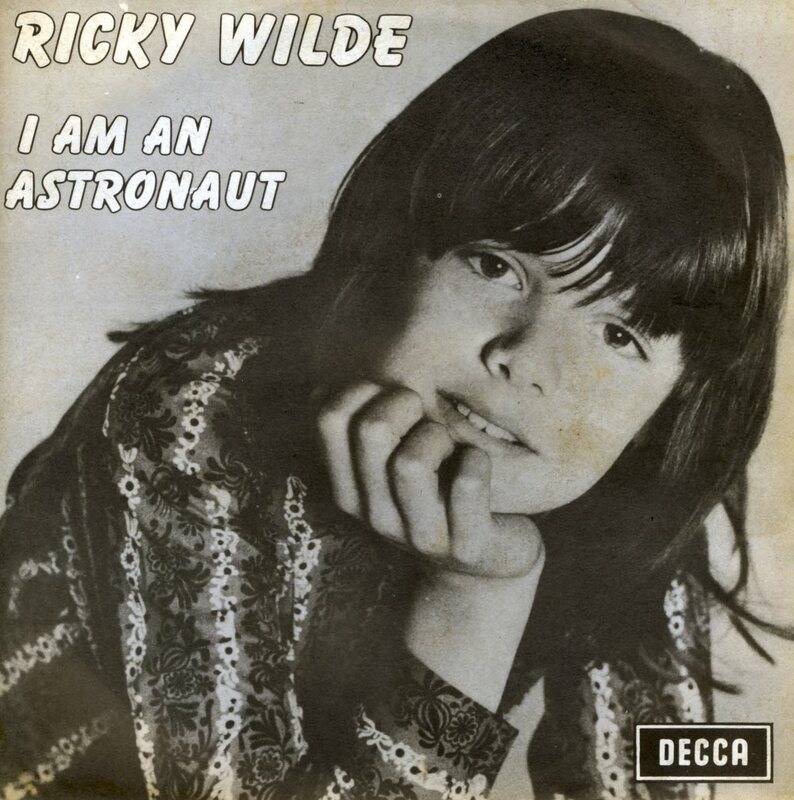 The first single - as far as I know - was 1972's 'I am an astronaut', recorded when Ricky was just eleven years old. It is an extraordinary piece of work, because for all the childhood innocence in the vocals, the musical backing is quite impressive, almost psychedelic. Rumour has it that 12-year-old Kim is performing backing vocals on this track. The single was not a big hit, although I understand Ricky had some hits in Scandinavia with this and/or other singles. This song was covered recently by Snow Patrol for a charity compilation album - and several Scandinavian covers by equally young singers do exist! Having collected Kim Wilde records for more than a decade, it's not so strange that I started 'branching out'. The singles released by her brother Ricky were hard to come by, since they were all released in the seventies in rather small quantities. 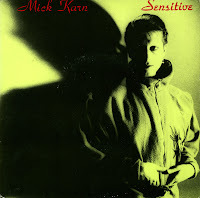 So the first Ricky Wilde record I found was 'Sensitive' by Mick Karn, which was produced and mixed by Ricky Wilde together with Mick Karn. Karn made his name as part of the English group Japan, but he also made some solo records. 'Sensitive' was his first solo single, which didn't make the charts anywhere.